Professor Lars-Henrik Ståhl, director of ResArc, has since 2012 been a member of an international group of experts for Lanzhou New Area in the Gansu province in China. As a part of this involvement, he proposed an international symposium on and in Lanzhou New Area where ResArc PhD students were invited to partake and present their research on contemporary urban planning. Linus Zhang, Assoc. Professor, Water Resource Engineering, LTH, was a key person in the actualisation of this conference, acting as both liaison with the authorities of Lanzhou New Area and as a member of the planning team for the symposium. The symposium took place between October 16-18 2014 after approximately a year’s preparation and planning. Five ResArc students attended the symposium and presented their research. The stay in Lanzhou New Area, was centred around the actual symposium day, October 17. The following two days consisted of field trips arranged to Lanzhou (old city) and the City of Dunhuang, in the west of the Gansu Province, most famous for its Mogao Grottoes on the ancient Silk Road. Lanzhou New Area (LNA) (a “fifth state level special development zone”) is located almost in the very centre of China, approximately 40 minutes by car from the old town of Lanzhou, and within a few hours distance from the Gobi desert. The town is a brand new city built up from scratch over the last few years. This development does raise issues when it comes to sustainability but does at the same time constitute a very interesting point of departure for a discussion on urban planning and the theoretical issues associated with this. As Lanzhou New Area is a node along the Silk Road, which is planned for reactivation, this was furthermore an opportunity to discuss the relation between infrastructure and cultural heritage. The following themes were identified as future challenges: Sustainable urban design; Contemporary architecture vs. Smart Cities; Water smart solutions in urban development; Urban agriculture; Cultural heritage vs. urban development. 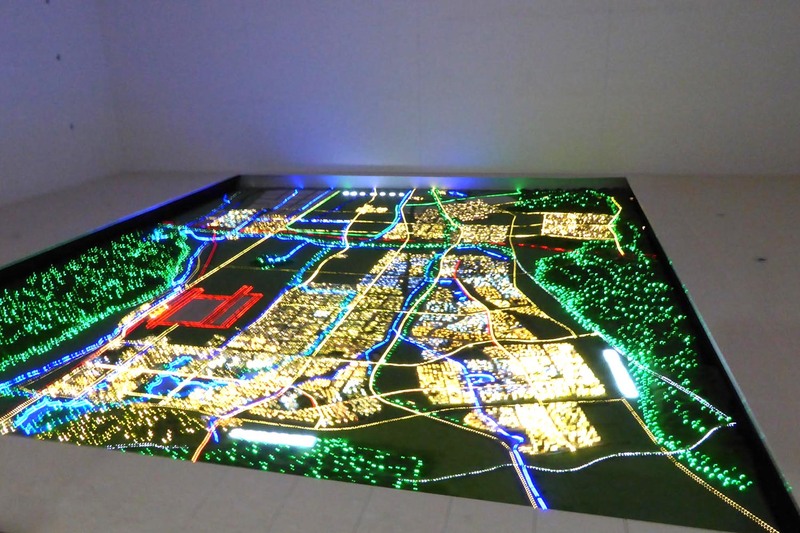 These specific themes also worked as guidelines for the International symposium on Urban Development in Lanzhou New Area. ResArc also contributed with lectures from two senior researchers, Cecilie Andersson, Architect, PhD, Rector Bergen School of Architecture, Norway and Emma Nilsson, Architect, PhD, Assistant Professor, dept. of Architecture and Built Environment, Lund University. Never ever modern? Even ever ancient? Chinese news channel People Television made an interview with two of the participants. The half an hour interview is available at the news channels webpage, however without english translation.